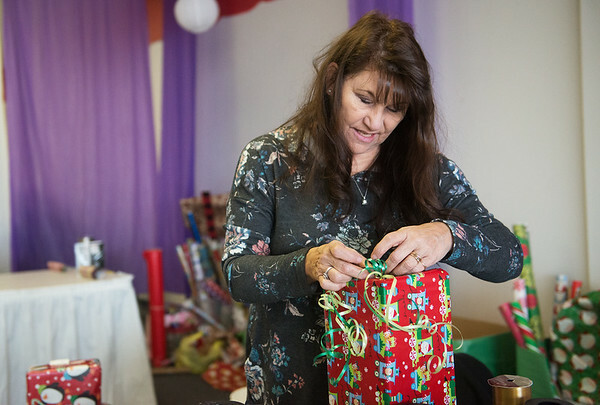 Diana Roland wraps a present at Kenzie Kruisers Wrapping for the Cystic Fibrosis Cure on Wednesday in Carthage. Through Christmas Eve, volunteers will wrap gifts and accept donations for the Cystic Fibrosis Foundation. This is the eighth year for the program, which is located at 2404 Grand in Carthage.